This past March was the Hina Fest at Pacifico Yokohama Arena. Kanon has been making announcements advertising Hina Fest for the past few radio broadcasts at the end of the show, so now that it’s over, she’ll tell a story from the event. The venue itself was fairly intimidating since the fans literally surrounded the stage. The rehearsals for the event started only about two or three days before, so Kanon was troubled with memorizing which side of the stage to look out into. Another other notable story about Hina Fest was winning a spot in the first concert’s Trio-Group with Wada Ayaka and Sayashi Riho as “Peaberry with Suzuki Kanon Accompanying” and they sang Tanpopo. Kanon had never sung a song of this level, so she was wondering if the fans would like it. Also, Kanon was in a group with two aces, so she really worried if it was ok for her to be there as well. However, when it came time to perform she saw that there were green penlights in the audience for her and felt relieved. After the concert, Kanon realized something for the first time: Sayumi had really taught everyone about professional awareness that Kanon didn’t realize she had been taught until after the Hina Fest concerts. Something to be thankful to Sayumi for yet again. Letter 1: This letter actually comes from a Japanese fan living in America. They discuss how you can make sweets in a rice cooker and recalls hearing that Kanon likes to make sweets. Therefore, they wonder if Kanon is good at making any type of sweets that look complicated but are actually easy to make. Kanon explains she’s particularly good at making cheesecake, but that’s really easy. Thinking about the question more, Kanon explains she usually makes cookies using pancake mix. You make the cookies how you normally would but they will cook a bit differently. Kanon says it makes the cookies fluffier. She recommends trying this. Lately though, Kanon has been trying to get better at using wheat flour when making cookies. Its April 7th, which is the day Kanon’s life changed: the day Maji de Suka Ska! released. The day is full of memories for the 9th generation, who make notice of the day every year. Reflecting on her debut time, Kanon recalls dance lessons for the single started in February. The lessons were particularly challenging for Kanon, since the rhythm was tough. She didn’t like that the rhythm was taught with English numbers rather than Japanese. There was a special rehearsal for the 9th generation to learn choreography with their seniors, and it was pretty tough for them. 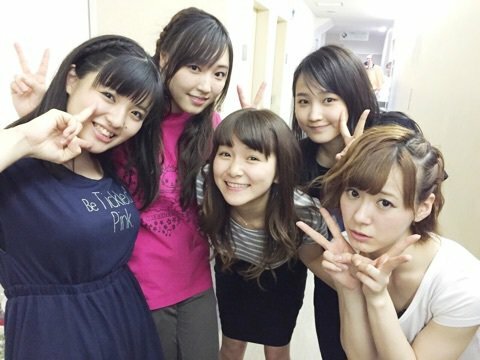 After the two hours rehearsal Kanon felt that she could only do the choreography about 30% as perfectly as her seniors. It was truly tiring. Soon after when the video-shooting day arrived, Kanon couldn’t quite remember the proper formation and choreography. 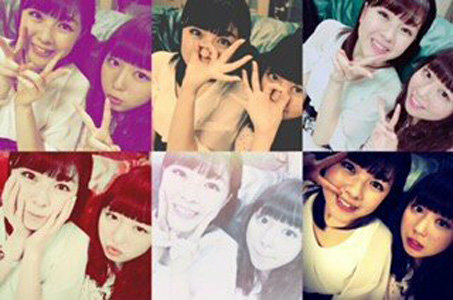 She was paired with Mitsui Aika in the formation, who helped her become able to finally do it. Kanon had been practicing the choreography constantly at school, to the point where Kanon is sure everyone thought of her as being the girl who is dancing all the time. Song: Morning Musume – Maji de Suka Ska! Message 1: The writer explains they have a dog who does certain things like human and they wonder if Bii-chan does things like a human as well. Kanon isn’t sure if it’s the same, since dogs are different from cats. But, one time when the intercom dinged in her house, Bii-chan growled. Then, when Kanon answered the door for the package deliveryman, Bii-chan continued to growl at them, which surprised her. This happened a few times now. However, Bii-chan won’t say anything if it’s a family member. Kanon has no idea how Bii-chan can tell, but there must be some difference. So, she thinks Bii-chan must clever ears.